Tabi Bagel in Tokyo doesn’t have a closing hour. The shop opens at 7am and the doors shut once the last bagel is sold. Sometimes this happens in just one whirlwind hour, as I learnt through Justine. To visit this tiny bakery, you may have to play tough with the snooze button. 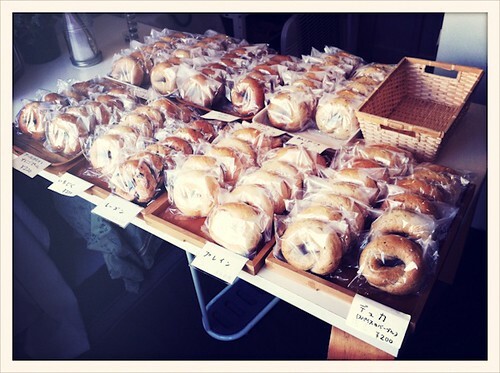 The earlybird-commitment is worth it, though – these bagels are a 200-yen exchange of fresh-baked awesomeness. After making the poor owner recount every flavour on display (followed by our amnesiac recall and “what’s this one again?” re-questioning), I had Olive and Rosemary (covertly loaded with green olives and herbs inside: so bite-worthy and delicious), Multi-Spice (seeded with cumin, fennel and other earthy jolts) and Orange Peel (crinkly citrus yum). Will’s haul included one with sesame bean paste, the kind usually sweetly jammed inside fish-shaped taiyaki treats. I asked the owner how Japanese bagels are different and he said they weren’t really – with one neighbourhood-inspired distinction. Yanaka, where the shop is located, has a more elderly population – you see lots of olds zipping along on bikes as you walk the streets and laneways – so he makes sure to keep his produce soft, so his customers can chew the bagels without a problem. The locals seem to reward his thoughtfulness. Sam went visiting some weeks after we dropped by and the owner still remembered us. I guess not many foreigners stop by? Funny, when a place remains mainly tourist-undiscovered and thrives on local-only endorsement, that only makes you want to visit it even more. Tabi Bagel, 2-5-14, Yanaka, Taito-ku, Tokyo. Yanaka is a fascinating place, left unruined by wartime air raids and with traditional wood houses and temples still intact – it’s one of the few “old” places left in the city. If you walk a bit further, you can visit the SCAI The Bathhouse gallery, and stroll onwards to the peaceful Yanaka Cemetery. When I read this gold-star endorsement from Heidi Swanson on her 101 Cookbooks blog, I added the eatery to my must-visit list. 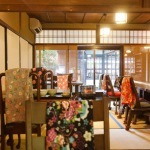 The place is Asahi, a restaurant that only has enough room for three tables and is run by a longtime baker, Koichi Nakajima, who now specialises in a type of vegan hand-made soba found nowhere else in the city. We had warm bowls of nori-topped noodles and shared a big platter of grilled vegetables, tofu and pickles – the flavours honest and extracted without show or fuss. We sat in a room where everything was carved out of timber and the whole meal itself had a hand-crafted and one-of-a-kind feel. 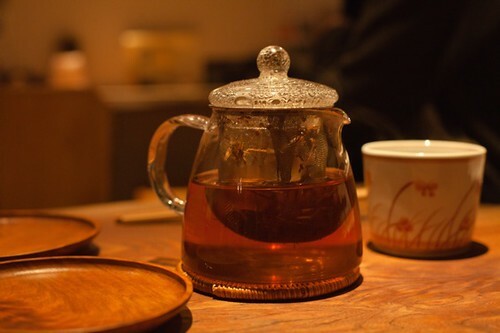 A pot of soba tea was a calmative end-note to the night. Asahi, 4-32-26 Kitazawa, Setagaya-ku, (03) 3485-7785. 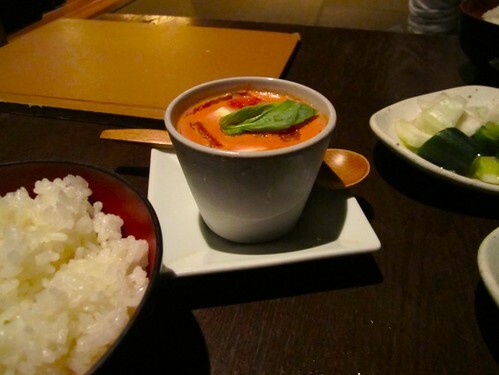 It’s hidden on a quiet side street and Japanese addresses are notoriously tricky. Most taxis have a GPS, so we took a cab instead of the “end up insanely lost” option. It’s closed on Tuesdays and the third Monday of the month. 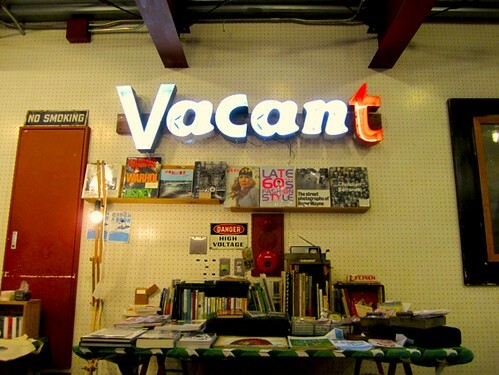 I think it took about three footsteps before Eliza Sarlos, Will and I all instantly fell in love with Vacant. 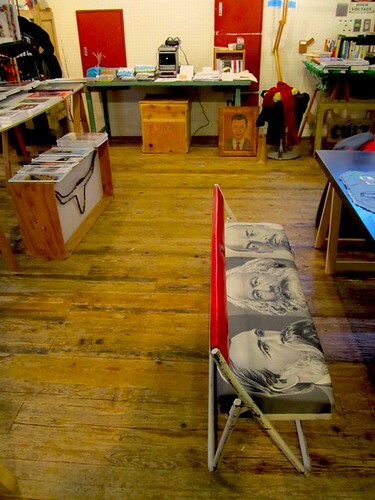 An ultra-cool shop/gallery/venue, it also houses Vacanteen, which serves vegan food (sample menu items: the endearingly-titled “Landscape Plate” and “Plant Plate”). Vacant is run by a group of friends and everything feels like it was filtered by the kind of personal endorsement that determines a mixtape. 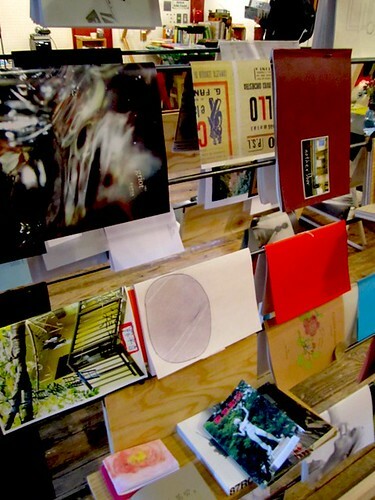 On display are zines, design books and cool odds-and-ends (including large rubber stamps of old-school American diners); it also has a must-attend calendar (we were too early for a David Byrne exhibition and a Sharon Van Etten gig, alas). Eli wants to know how to relocate Vacant to Sydney. Before that miracle happens, you can visit it at its current (and, sadly, only) address. 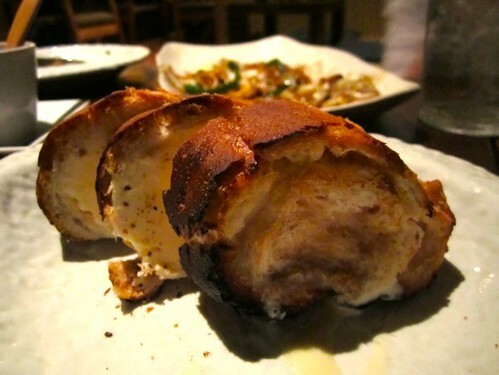 An izakaya that serves Ice Cream Bread – that sells itself. Teyandei is also a fine budget-friendly pick, according to The Guardian, although by the end of the night, we were so full and food-coma-ish, I couldn’t honestly account for the state of my wallet. Teyandei specialises in Okinawan cuisine, although Grace’s regional favourite, sea grapes, sadly wasn’t on offer the night we visited. We did have Burdock Chips that were served like long, calligraphic scrawls that you can munch and Tofu in Hot Sesame Oil; and while I’m not sure how genuinely Japanese Tomato Pudding, Worcester Fried Noodles and Steamed Chicken with Welsh Onion Sauce are, these dishes all ended up on our table, too. The crowdpulling item at Teyandei, though, is the ice cream bread, a fact backed up by the waiter repeated hailing it as its “number one, number one!” dish once we ordered it. According to Grace, the kitchen stuffs a baguette with deep-frozen ice cream and fries it. Each serve comes as an individual slice and we were told to eat it with one hand (a handy mess-limiting instruction). The baguette is all buttery and toasty and the ice-cream filling creamy and perfect. It turns out that an ice cream sandwich can be outclassed. Teyandei has several branches in Tokyo. We went to the one at 8-19 Sakuragaoka-cho, Shibuya-ku. 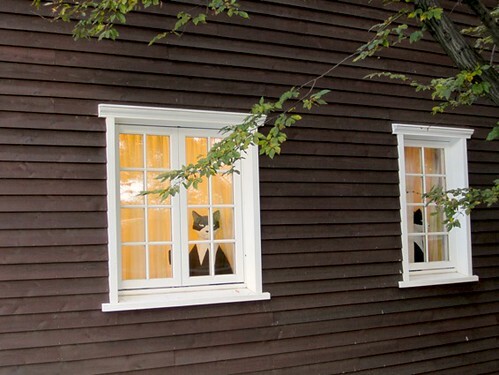 It’s really tricky to find, and does not look like a restaurant from the outside. I recommend hailing a GPS-enabled cab. For more details, call 03 3462 6411. 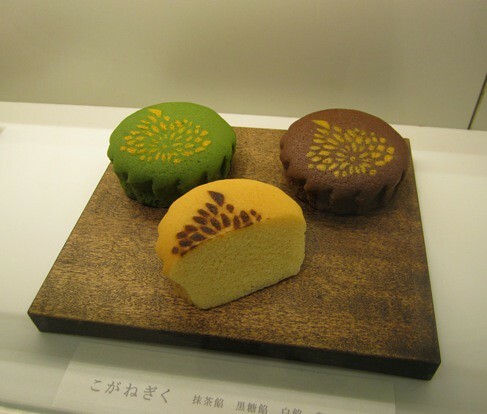 Toraya has been making traditional confectionery for centuries – the Imperial family has been enjoying its crafted sweets since the 1500s. 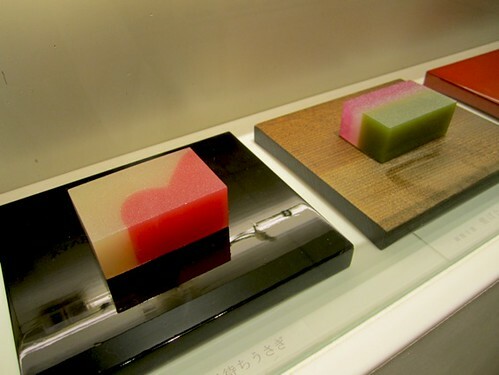 On display at its all-white, minimalist Midtown branch are beautiful-looking monaka (wafers shaped like cherry blossoms or chrysanthemums enclosing an azuki bean jam), wagashi that resemble museum-display fruit, and pretty slabs of graphic yokan jelly. Many of these treats are meant to be served with tea – conveniently, a Toraya salon serving select brews is only a few footsteps away from this confectionery boutique. 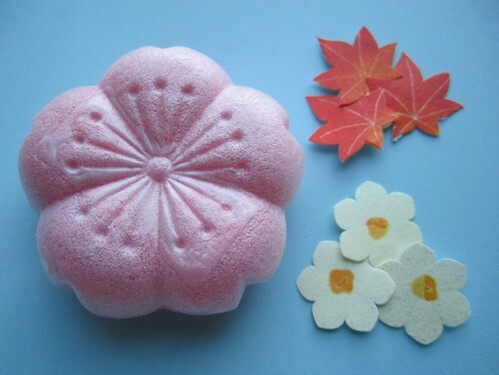 I found out about Toraya through Justine, who runs the wonderful Upon A Fold blog and shop. You need to see her amazing pictures to grasp how elegant this gallery-like store is. 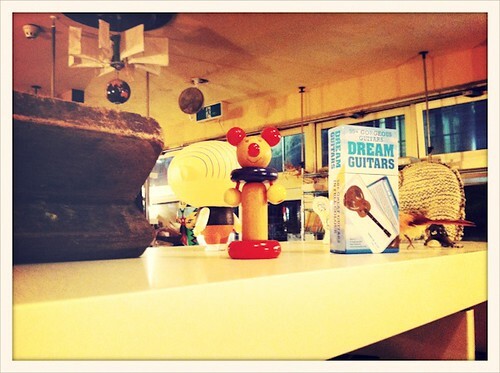 Toraya is a good spot for picking up some sophisticated-looking souvenirs. You may need a deep unconditional love of azuki bean to enjoy the confectionery, as many of the sweets centre around that main ingredient. 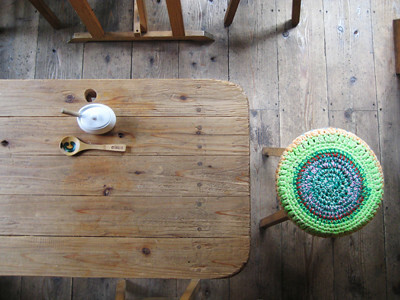 Personally, I’m not the greatest fan of that sticky-sweet flavour, but the boutique also offers some beautiful stationery, exhibition displays and the nearby tearoom offers an intriguing range of Japanese beverages. Located in the Tokyo Midtown complex, Toraya also allows you to briefly teleport to Paris, as it’s within browsing distance of excellent outlets for the Maison Kayser bakery (for a local treat, I had the yuzu bread) and chocolatier JP Hevin. 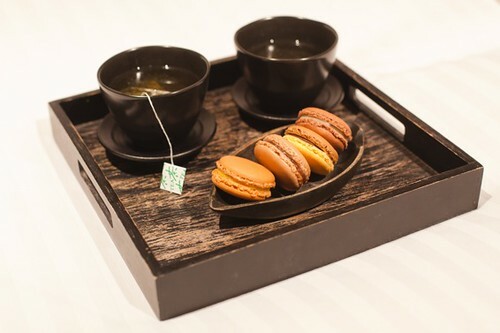 We stocked up on the latter’s macarons, taking the box back to our hotel to enjoy with a complimentary jasmine brew (I love that accommodation in Japan always has the tea-making aspect covered). Toraya, Tokyo Midtown Galleria B1, 9-7-4 Akasaka, Minato, Tokyo. It is also a short walking distance to 21_21 Design Sight gallery, a great art space that’s co-directed by Issey Miyake and designed by Tadao Ando. 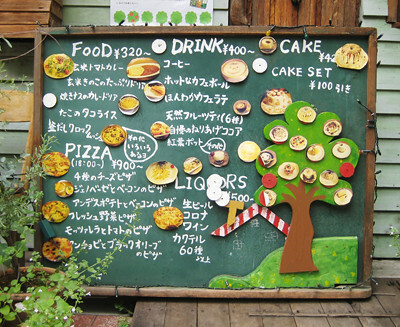 The Studio Ghibli Museum is worth jumping up and down over, but its Straw Hat Cafe also inspires kid-like delight. 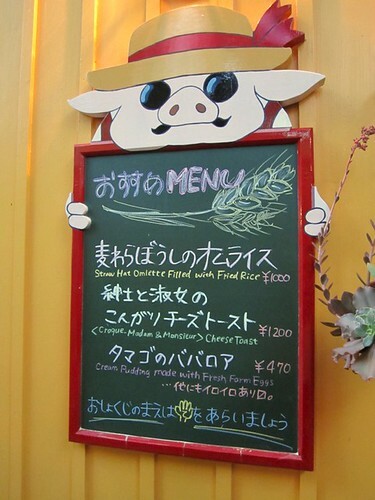 The menu includes items such as Breaded Pork Cutlet Sandwich For The Hungry Stomach and Looking Up At a Clear Blue Sky in the Field Cream Soda. I was banking on a Fruit Sandwich of Your Dreams, but sadly, the hope-dashing reality was that the kitchen had run out. So I opted for the Straw Hat Omelette Filled With Fried Rice, which was beyond consoling as a second choice – it was entirely awesome. It is shaped like a three-dimensional straw hat and the tomato-sauce portion comes in a heart-like drizzle. 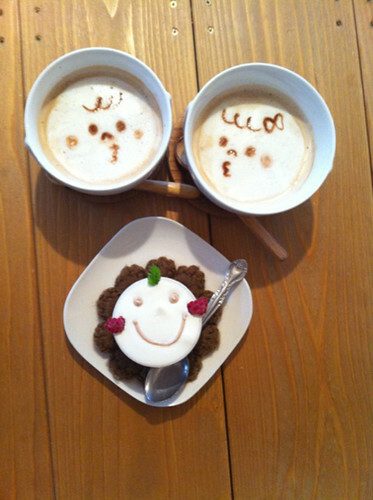 You can also order a Straw Hat Cappucino and all the drinks are served with straws made from, yes, actual straw. The museum itself is amazing – it has cartoony architectural features, hand-crank animations, zoetropes that blur into life like magic and detailed replicas of a filmmaker’s room, right down to the worn-out reference books, first-draft sketches and beverages used for company. There’s also a cinema with a train car as a projectionist’s booth and a Cat Bus that sadly only admits school-aged kids (it isn’t a working vehicle but a giant soft toy that children jump all over, tossing Dust Bunny toys out the bus windows for sport). 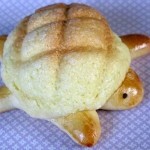 Until May 2011, the Studio Ghibli cinema will be screening Mr. Dough and the Egg Princess, which is inspired by a traditional European folk story about a loaf of bread that runs away. 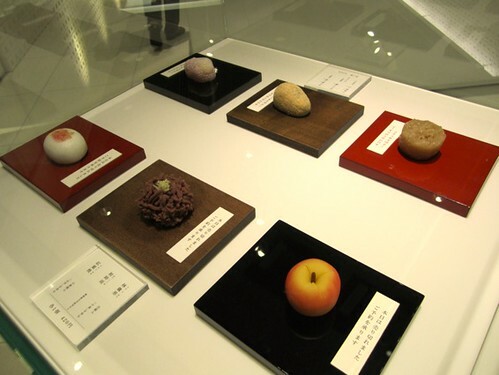 The short film is accompanied by an exhibition that features director Hayao Miyazaki’s illustrations, an array of bread-making tools and ingredients, and flour-grinding demonstrations where kids eagerly make use of a traditional stone wheel. 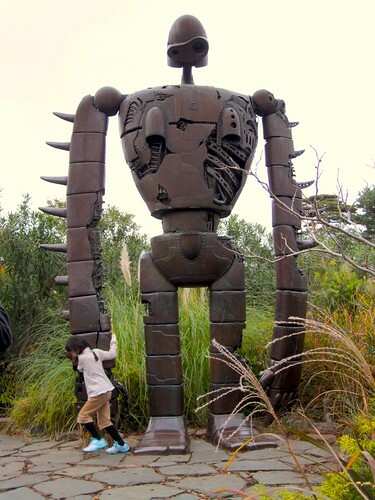 Studio Ghibli Museum, 1-1-83 Simorenjaku, Mitaka-shi, Tokyo. Limited tickets are available for each day and it’s best if Australian visitors buy them here. 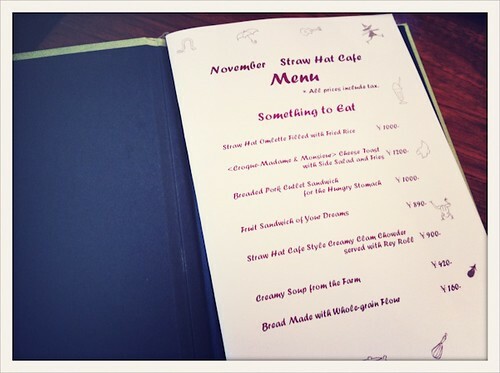 When heading to Japan’s capital, one must-pack item is the Hello Sandwich guide. Created by the ultra-Tokyo-savvy Ebony Bizys, this zine was our GPS throughout the streetways and metro lines, leading us to local gems of all sizes (from tiny stores full of beautiful clutter to department store wonderlands like the mega-stylish Opening Ceremony). It’s as great as having a good friend steering you through their favourite neighbourhoods. 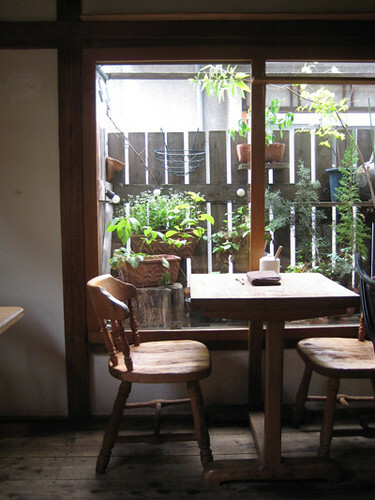 One of my most-loved discoveries through Ebony had to be Hattifnatt Cafe, which you may have seen in her Tokyo Guide and her story for Frankie magazine’s Spaces. 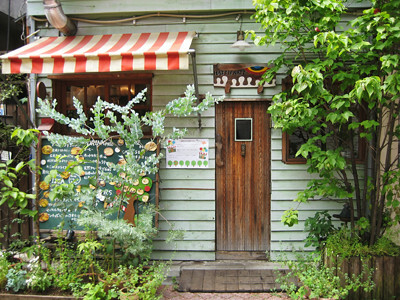 There are two branches and the original is in Koenji, a former electronics store turned into a treehouse cafe. The entrance is kid-sized, so duck your head as you enter. 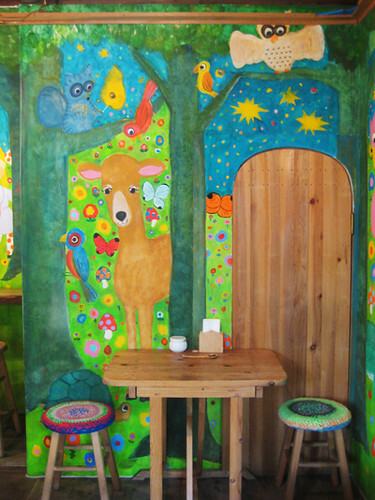 As you climb into the cubby-like levels, you’re greeted with hyper-bright murals of picturebook-like birds, flowers and woodland creatures. 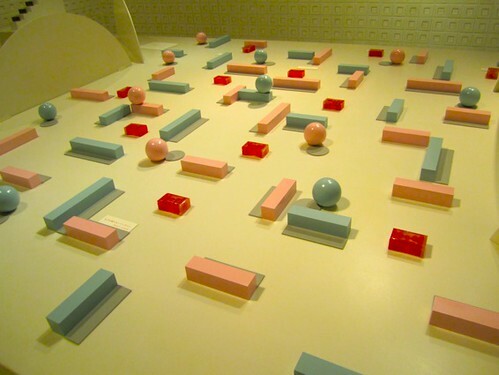 It feels like you’re about to have lunch on the set of Playschool or Sesame Street. 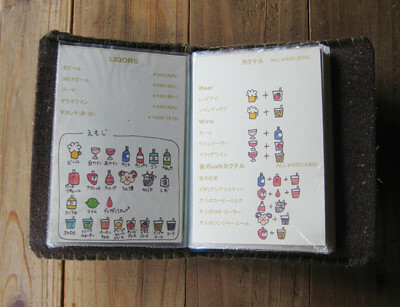 The menu is illustrated with cute drawings (mugs of frothy beers, colourful drink bottles) and covered in a stitched blanket. When the cafe is busy, you order via the intercom, quoting the letter on your giant spoon (“This lunch is brought to you by the letter ‘E’?”) so the staff can locate you. I’d been set on the Avocado Taco Rice, ever since reading about it in Ebony’s zine in May, and it was worth the drumroll anticipation. (Ebony kindly helped me broker a vegetarian-friendly version with the staff, as it usually is stuffed with meat). For an extra dose of tweeness, you can visit the Too Ticki stationery/homewares shop next door, which is run by the same people. It’s display-stacked with crafty goods like hand-carved stamps and patchwork purses. 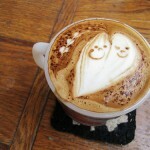 While the picture-cute coffee had been a drawcard, the Koenji branch of Hattifnatt wasn’t offering any on the day we were there. 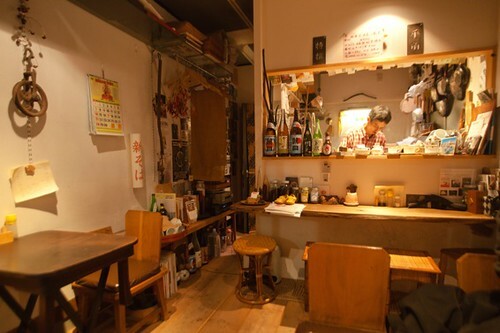 It seems to be more of a specialty for the equally cosy Kichijoji outpost. Hattifnatt Cafe, 2-18-10 Koenji kita, Suginami-ku. You can read more about it in Ebony’s indispensable Hello Sandwich Tokyo Guide and her contribution to Frankie magazine’s Spaces. Speaking of Hello Sandwich, it was one of many reading essentials that helped me finetune my Tokyo plans. Other helpful resources include Justine’s Tokyo posts on her wonderful blog (I regret not having had enough time to try this recommendation: “A trip to Tokyo is worth it just to experience the tea-making service at Ori Higashiya’s Sabo”); the brilliant Tokyo By Tokyo, compiled by Claska, with creative locals detailing their favourites under great categories such as “Unique Offices Supporting The Art Scene From The Shadows”, “Shops to Titillate An 8-bit Heart” and “The Three Most Splendidly Lavish Toilets In Tokyo”. It was through this book that I found out about Tabi Bagel and Teyandei; iPhone-reliant travellers should know that it’s been freshly turned into an app. Eloise Rapp’s My Tokyo features lots of great shops (including a store that specialises entirely in cute and highly wearable socks). 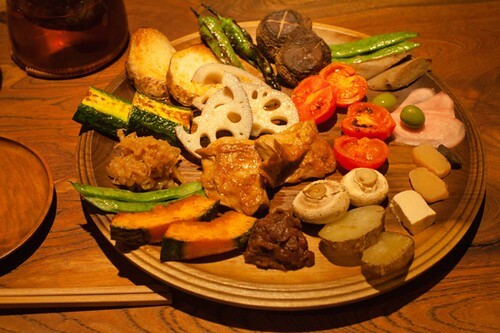 Also check out Chocolate & Zucchini’s Japan highlights (Clotilde’s right, railway bentos are awesome) and recommendations from ii-ne-kore’s Bree Claffey and other Japan-savvy folk. Lo-Fi Tokyo also directed us to plenty of brilliant spots. I feel really lucky that the internet has made trip-planning so much more personal and particular and that you no longer need to rely on a few major travel guides to determine how your holiday will turn out. Oh, and happy new year a few hours in advance! Wow, thanks for your lovely comment, Clotilde! 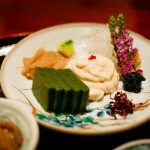 Especially as many of the appetite-rewarding moments I had in Japan were courtesy of things I found via your great post. I hope you get to teleport back to the land of railway bentos soon. Bonne année to you, too! Looks like you well and truly enjoyed your time in Tokyo ! Glad all of your research paid off !!!! 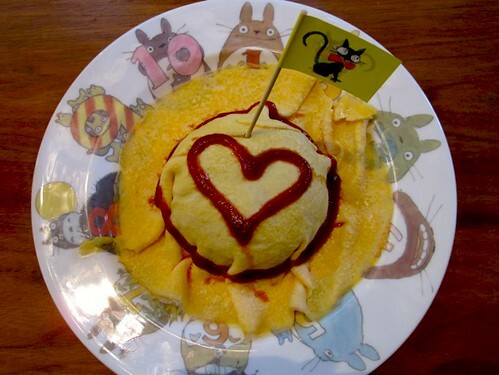 🙂 I LOVE OMURICE!!!!! Thanks for a lovely post with great pictures! It’s such a feast, not just for the tummy, but for the eyes as well!